The human body has many common responses to stress. These might include both emotional responses, such as depression, anxiety, and anger issues, as well as physical responses like cravings, headaches, sleep problems, diseases, and other detrimental effects on the body. When assessing stress levels, both the mind and body are connected. 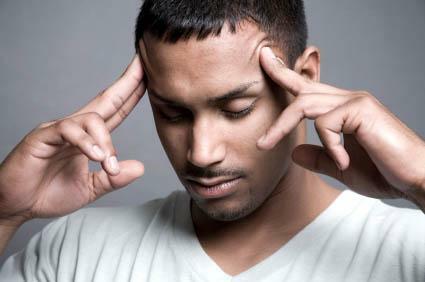 This link means that stressful thoughts or actions can sometimes lead to physical effects on the body. For example, a person who is stressed out might crave sweets, alcohol, or nicotine, which could, in turn, harm the body by contributing to overeating, weight gain, liver disease, lung cancer and other health problems. In addition, stressful thoughts, like worry and anxiety that are compounded over time, contribute to problems like chest pain, arthritis, headache, high blood pressure, and heart disease. Stress plays a clear role in decreasing the body's immunity because as you are on high alert, your body wears out and your reserves tap out. The following are some of the common responses to stress. If you are experiencing any of these symptoms, consider getting professional help before the condition worsens. What stress really does when you can't take it anymore is it either ends up causing disease in the body if you don't get help or it causes you to make a lifestyle change because you don't want to get sicker. It's critical to work on stress-related issues and stress management before major problems occur. Don't wait until it's too late. Most of the time, stress doesn't go away on it's own without some kind of intervention, such as visiting a physician, talking to a therapist, or changing habits. Medications, such as antidepressants, can work to alter brain chemicals to promote well-being and the ability to better handle challenging situations. Since stress is an inevitable part of life, focus on what you can do to combat it. Don't be afraid to say no if you feel overcommitted. As you can see, it takes some initiative to deal with stress, but avoiding physical and emotional responses can help you live a long and healthy life.